Roots Records has been one of Columbus’ best record stores for over 20 years. In addition to providing the region’s best selection of reggae, afrobeat, and world music, they’ve also been more responsible than anyone for bringing in the hottest acts in genres that don’t often come to Columbus on tour. This year alone they’ve brought Richie Spice, Cham, Third World, and Israel Vibration. They’re ending the year with a bang as they bring to town one of the reigning kings of Afrobeat: Seun Kuti and Egypt 80 to the Alrosa Villa on Friday, December 16 at 9pm (tickets and more info here). Continue reading below the jump for more info and videos. Seun Kuti is the youngest son of the great Fela Kuti who continued his legacy through fronting Egypt 80 from the time he was 14 at the time of Fela’s death. In an interview with Red Bull Music Academy, he’s clear that he has little time for discussion of inheriting the band. “My brother [Femi Kuti] had his own band already before my father died. I was already playing with the band when my dad died, and I just kept playing. Even now, to be honest, I am not the bandleader of the Egypt 80. I’m just like the CEO of the company.” Egypt 80 still contains roughly three-quarters of the musicians who played under Fela including the bandleader, Lekan Animashaun (also known as Baba Ani) who was recruited as a baritone sax player in 1969. 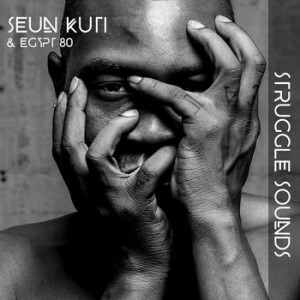 In a time when we as a society are desperately in need of the emotional balm and catharsis music can provide and the community of being in a room with other people in need of the same thing, Seun Kuti’s Columbus appearance is vital. This reminder of music’s ability to speak to the world and our hearts promises to leave us all soaked in sweat and with our blood burning. Next post: "A Chamber Jazz Christmas: Mark Flugge Remembered"